Spinach powder vs fresh spinach. Which is better? Today I’m putting fresh spinach to the test against powdered spinach extract. Did you know that one of these two forms of dietary spinach is actually healthier than the other? Yes, and there’s actually science behind this claim. I myself have discovered through my kitchen experiments that this form of spinach is much more beneficial, convenient and economical than the opposite. 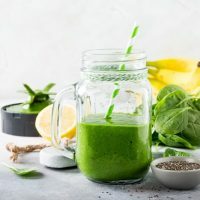 In my quest for the better way to prepare my green smoothies, I have come across this idea which improved my overall wellness and weight management. Today, I’m going to show you whether or not the spinach powder and fresh spinach are the same in terms of nutritional benefits, cost-effectiveness and versatility so you can see for yourself which of the two deserves to have more space in your kitchen and become your go-to weight loss partner. 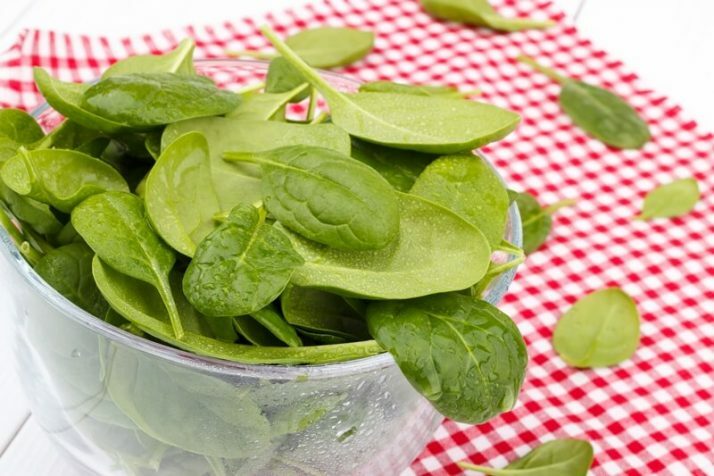 Spinach Powder Vs Fresh Spinach: Is It As Good? Both types of spinach are beneficial to your health. However, the concentration of the nutrients that comes from pulverizing this leafy green makes it more suitable for achieving significant weight loss and filling in the nutrient gap in your diet. 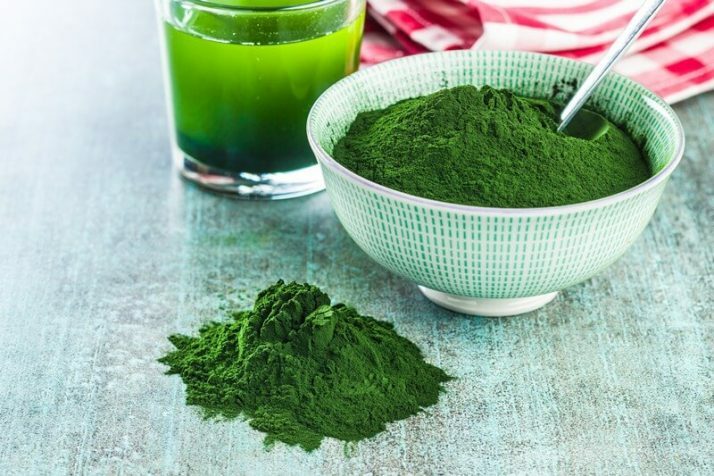 It is therefore recommended to consume more spinach powder to increase the chances of absorbing more nutrients and consequently benefit from its remarkable effects on your overall health. To turn raw spinach into spinach powder, all you need to do is to dry the leaves and grind into a powder. The powder contains only one ingredients, doesn’t have any nasty fillers and nothing good is taken out except for the water. So all of the nutrients in fresh spinach remain once it is turned into a powder. The main benefit of the powder being that it is so much easier to consume and add to meals. Let’s dive into some of the benefits of spinach powder. Having your spinach the usual way—that is, preparing and eating it fresh—already gives you the power-packed health benefits that typically comes from consuming leafy greens. This is a fact we can never ignore. 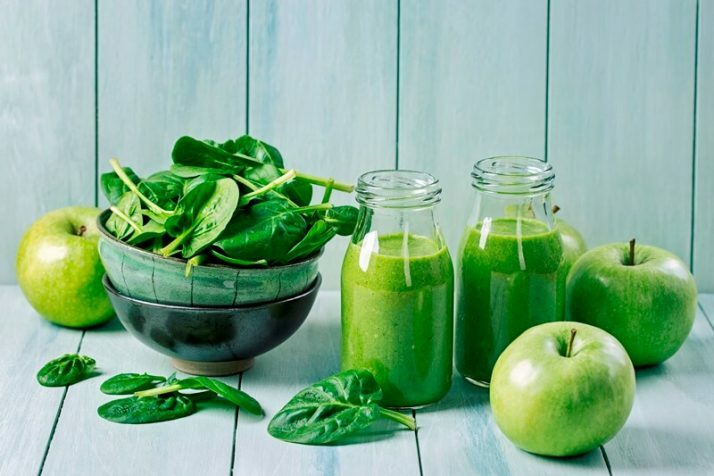 However, if your aim is to raise the level of nourishment and overall health, I recommend that you go for spinach powder, not entirely as a replacement for your leafy greens, but to enhance the overall effectiveness of your diet. There’s actually no point in comparing spinach powder vs fresh spinach because they both contain the same nutrients. It’s just that you get higher amounts of nutrients from spinach powder because it’s more concentrated. You’re much less likely to eat as much fresh spinach as you need to get the nutrient benefits. Where as, it’s so much easier to consume a concentrated powder. Therefore spinach powder wins this competition. Spinach is a natural source of fat-busting compounds, and taking it in a form of powder means you can absorb higher amounts of these to speed up your weight loss in a healthy, sustainable way. 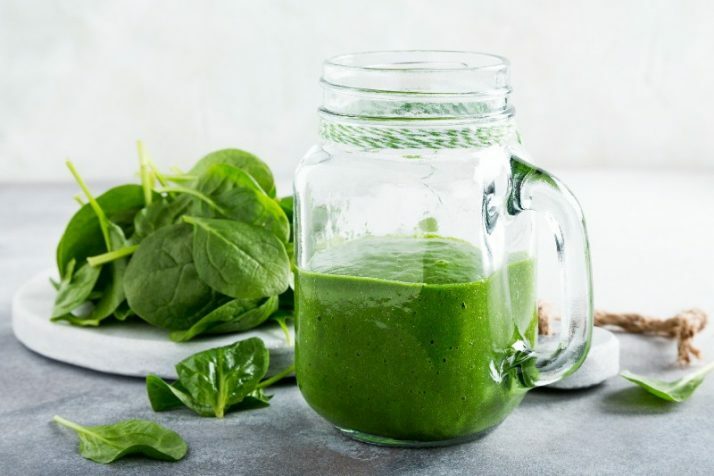 Spinach powder has been scientifically proven to curb your appetite which results in you consuming less food, which leads to sustained weight loss. I’ll be sharing more about how spinach extract can help you lose weight a little bit later. If you’re struggling with poor vision, spinach powder can help you avoid age-related eye conditions such as cataract and macular degeneration. This is due to the carotenoids that are in a high concentration in spinach powder. A study published by The Journal of the American Medical Association links the lower risks of developing macular degeneration to the increased intake of carotenoids, which the participants obtained from eating spinach and collard greens. The fiber that you get from eating green leaves is already a well known benefit that we could all benefit from in our diet. The good news is that, dehydrating spinach still retains the same amounts of fiber – with the added benefit of improved taste. Reducing spinach to a powder gets rid of the bitter taste so it’s so much easier to consume. The major benefit of getting all that fiber from a powder is that you don’t have to chew through several big bowls of raw spinach to get the same benefit. Fiber is essential for proper digestion, prevention of insulin resistance, and lowering of blood sugar levels. When all the iron content from each spinach leaf is compounded to produce a pulverized version, it easily translates to a more concentrated form of this essential mineral. Iron is good for your blood, and getting sufficient amounts of it will help you avoid anemia. I could go on and on about the wonders that spinach powder can do to your body, but starting you off with four should be enough to inspire you to include it in your diet to get the most benefit out of this veggie. So now that we know how beneficial spinach powder is for us, how do we actually use it? Thinking of a way to incorporate spinach powder into your daily diet? 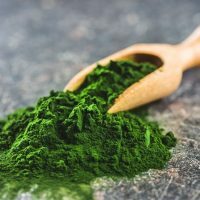 Below are just some of the interesting uses of spinach powder that will not only whet your healthy appetite, but will also help you save on your food budget. 1) Use it in a smoothie, to convert a regular smoothie into a nutrient packed power-house of a green smoothie. 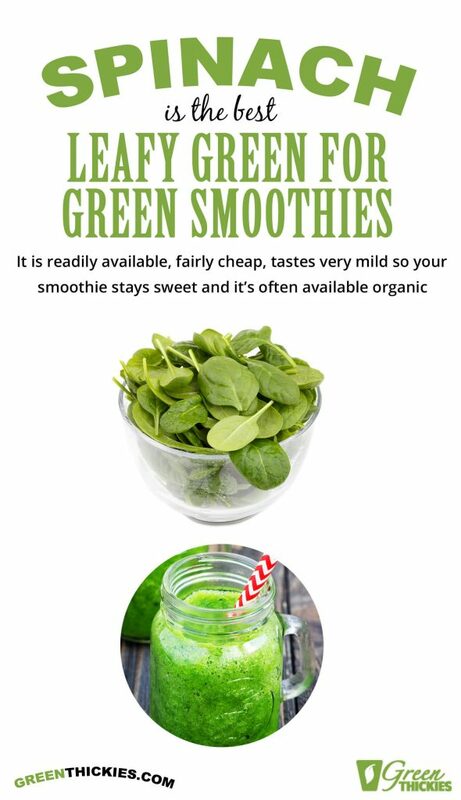 Find out more about the benefits of green smoothies here. I’m also going to be sharing a green smoothie recipe using spinach extract with you a little bit further down. 2) Use it for making sauces, dips and salad dressings. 3) Use it to add a tinge of color and burst of nutrients to sneak greens into unsuspecting food without being able to taste it. Try replacing the fresh spinach with spinach powder in my delicious and healthy spinach ice cream. 4) Use it to improve the taste and nutritional content of soups and broth. 5) Use it to replace a portion of your flour for making breads and pastries—even as a food coloring! You can use spinach powder in pretty much every recipe if you put your mind to it. I am constantly trying to sneak spinach into most of my meals to give me and my family extra nutrients. Why not try these Sneaky Green Chocolates to beat sugar cravings. Of course the main way I love to use spinach extract is in my green smoothies. 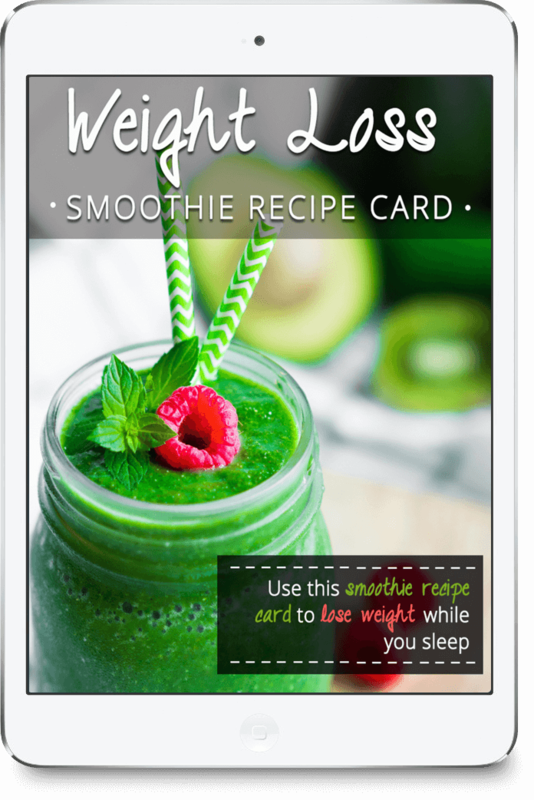 You can get all of my green smoothie recipes and a guide to green smoothies by clicking the link below. There have been a lot of studies linking significant weight loss to the consumption of spinach powder, and the evidence is very exciting. One particular study took a group of overweight women and gave them 5 grams of spinach extract every day, which is about ½ tablespoon. They monitored them for 3 months and found they lost 43% more weight than a group who were just consuming a placebo. So how does spinach powder help us lose weight? First, the concentration of thylakoids, the microscopic compounds present in spinach leaves, makes the extracted and pulverized greens almost three times more effective in suppressing the activity of lipase which is an enzyme that breaks down fats. By limiting the digestion of fats, the appetite-reducing hormones such as glucagon-like peptide-1 (GLP-1) are activated and boosted, which in turn controls your cravings. Although the digestion of fats is delayed, it does happen a bit later, so you don’t get any nasty side effects from not being able to digest fats like synthetic appetite suppressants can give you. It is also said that consuming spinach powder or its extract can trigger the reduction of a “hunger hormone” called ghrelin. Another research study even suggests that the feeling of satiety caused by the consumption of spinach powder makes you much less likely to partake in unnecessary snacking and overeating. 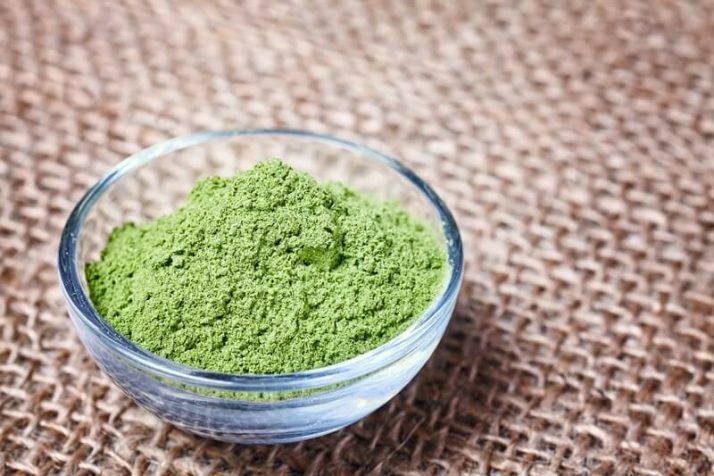 What these studies are trying to tell us is that spinach powder works to control your hunger, which in turn will make you avoid calorie-dense eating habits and eventually help you lose weight. Gone are the days when you have to force yourself to eat your spinach either boiled or cooked. You can now add MORE spinach into your diet without grimacing from its bitter taste. 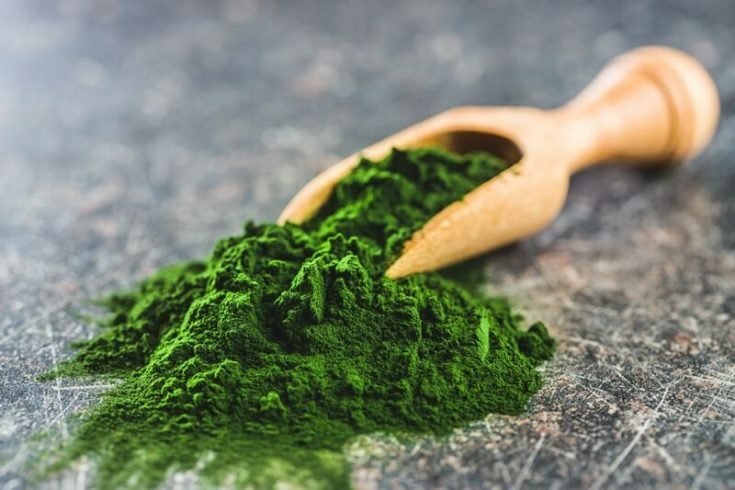 I’ll show you below how you can make homemade spinach powder so you can preserve your greens AND ensure that you get your daily fix of this wonder veggie. For this recipe, you can use either a dehydrator or an oven. I highly recommend a dehydrator because it was retain the nutrients. I recommend this dehydrator. Check out the reviews and other ways to use it by clicking here. If you use an oven, you will lose a lot of the nutrients due to the high cooking temperature and risk burning the leaves, so you need to watch your leaves carefully to make sure they don’t burn. The benefit of a dehydrator is that you can set it and forget it. Leaving it in there longer won’t ruin your spinach. 2 large bunches of spinach, or as much spinach as you can fit in your dehydrator or oven. Wash the spinach leaves and shake off excess water. If you are using large spinach leaves, it is better to remove the stems. You can use this handy device to make this job easier. Dry the leaves and lay on a tea towel. If using the oven, transfer the dried leaves to a lined sheet pan and set the oven to the lowest setting. Keep the door open a tiny bit to make sure the air circulated properly. Dehydrate the leaves by leaving them in the oven until crisp. Check on them every hour to make sure they are OK. Leave them for up to 4 hours or until crisp. Towards the end of the cooking time, check on them more regularly. If you are using a dehydrator, lay the leaves on a dehydrator sheet and dehydrate until crisp for about 8 hours at 110 F/ 45 C.
Blend the dehydrated leaves in a blender until pulverized. Sift the powder with a mesh strainer to ensure uniform consistency. You can blend the larger chunks again until they also form a powder. Store in a mason jar out of the fridge. This powder should last a long time as long as the leaves were bone dry when you blended them. If making your own spinach powder seems like too much hard work, don’t worry, someone else has saved you the job. You can easily buy your own ready made spinach powder at a very affordable price. 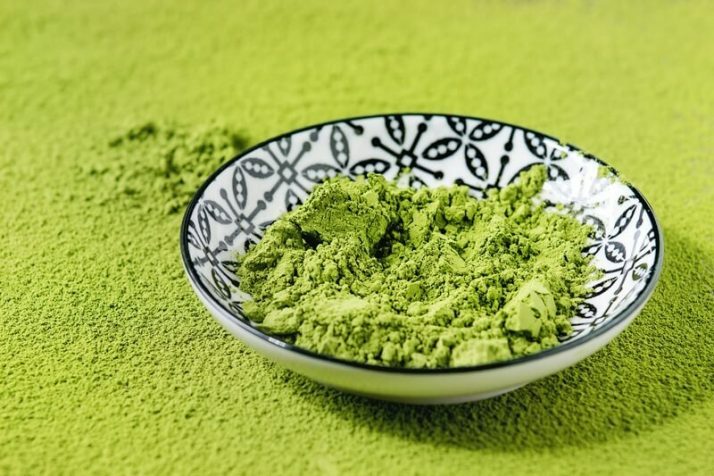 Part of my job to inform you of the latest trends in health and nutrition is to discover which among the herd of brands offers the best spinach powder. Fortunately, I came across Nubeleaf Raw Organic Spinach Powder . 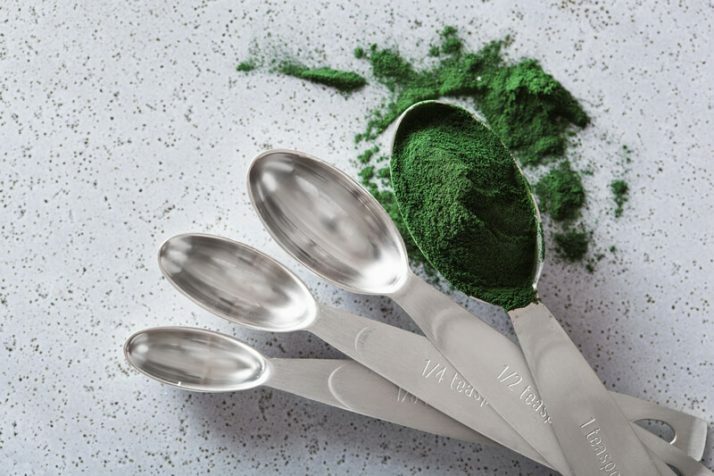 1 Tablespoon of this spinach powder is equivalent to 4 cups of spinach, which means you get to keep most of the remaining powder for repeated, daily use and still be able to get the nutrients in higher doses. It’s that economical and also practical. In terms of health benefits, Nubeleaf’s spinach powder has all the essential nutrients in a concentrated form such as Vitamins A, K, C and E, including compounds like beta-carotene, lutein and zeaxanthin. Aside from offering versatility for a wide selection of meal preparations, Nubeleaf’s spinach powder has a shelf life of almost 2 years, making it an ideal budget-saver. Because this spinach powder is all-natural and preservative-free, this spinach powder is allergy-friendly as well, which makes it a good choice for people who have specific health concerns. A tablespoon serving of Nubeleaf contains 25 calories, which is reasonable enough for daily use of dieters and people who want to lose weight. If you only included ¼ tablespoon of this powder in your recipe, you would get 68 servings in this one container and at this price, it is a bargain. However, to reap the health benefits, I would add as much as you can stomach or your budget allows. Anywhere up to 4 tablespoons per day is going to give you a massive amount of nutrients and help you meet almost all of your nutritional needs for the day. Click the link below to see the latest price of Nubeleaf on Amazon. You might be wondering how you can incorporate spinach powder into your favorite smoothie recipe. 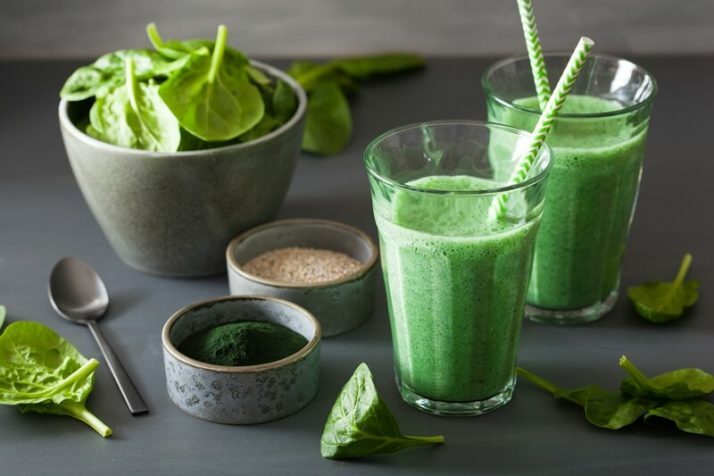 I have saved you the trouble of trying to calculate how much spinach powder to use by giving you a complete green smoothie recipe containing spinach powder. You can add just ¼ tablespoon of this to your green smoothie to replace 1 cup of spinach in any recipe. 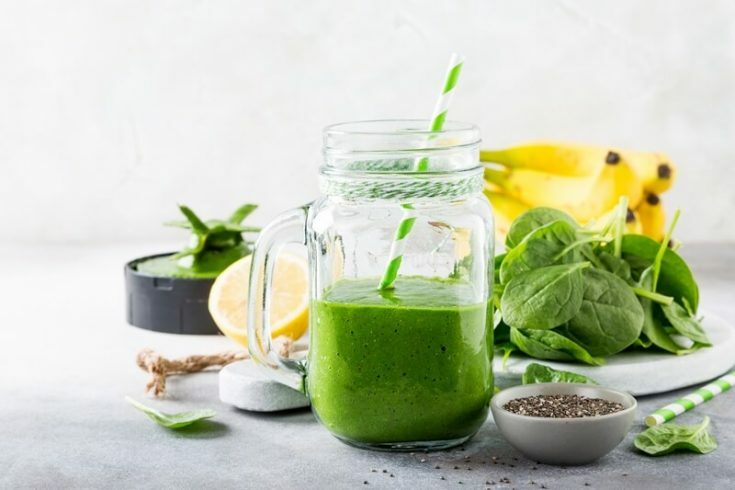 Here is a quick spinach smoothie recipe using spinach powder.This spinach powder smoothie is so delicious. All you can taste is the fruit. You can’t taste the spinach powder at all. Blend all ingredients for about 45 seconds or until smooth. If you want your smoothie to be cool, replace some of the fresh fruit with frozen fruit. Now that we have compared the benefits of spinach powder vs fresh spinach, I hope that you’re now enlightened regarding the many ways it could help you in achieving your health and weight goals. Whether you make your own powder at home (economical) or purchase from a brand (ready-to-use and time-saving), you can be confident that you’ll reap all the necessary nutrients your body needs—only minus the difficulties of preparing and eating your spinach. If you’re ready to make the switch to powdered form, don’t forget to maximize its use throughout your meals so you’ll never miss out on its health benefits. If you’d like even more green smoothie recipes and have other questions regarding green smoothies, get over 50 green smoothie recipes here and my complete guide. 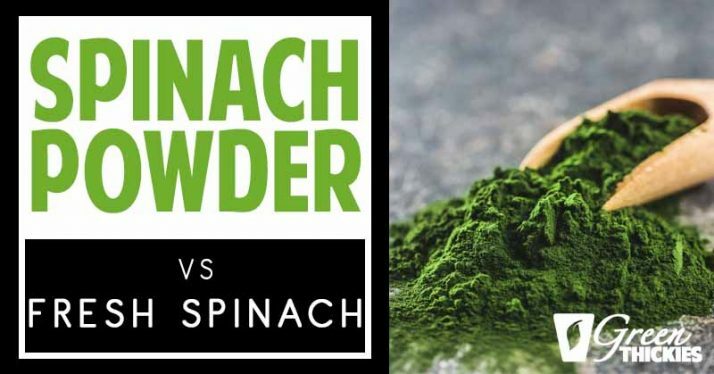 If you enjoyed this article, Spinach Powder Vs Fresh Spinach please let me know your thoughts in the comments.